Would you like to know more about the Senior Managers Regime and reasonable steps for Senior Managers? Are you worried about how the SMR may impact your company when the extension is finalised? 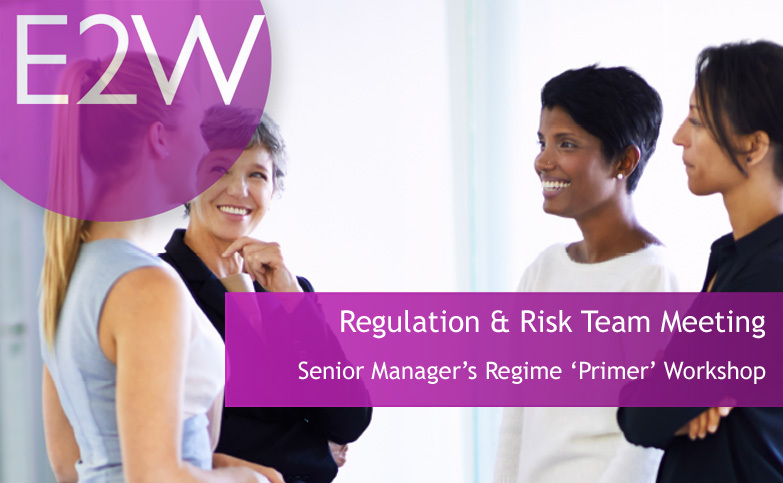 In response to recent demand, we have put together an SMR ‘Primer’ panel workshop with an amazing panel of people who are highly experienced in areas of Regulation, Risk and Legal to lead the discussion. They are also motivated to share and help others. This workshop is kindly being hosted by Olga Venosa, Senior Counter-party risk manager, UBS. The SMR requires firms to allocate Prescribed Responsibilities to certain senior individuals and to vet their fitness, propriety and conduct on a regular basis. The Regime is already live for banks and insurance companies, with investment firms, asset management firms and the remainder of UK financial services companies to comply in future. The Regime is intended to focus accountability on a smaller number of the most senior individuals in a firm. For banks, there has been the recent policy publications and the embedding of ‘reasonable steps’ for decision-making, supervision and oversight. What are the challenges identifying and embedding the ‘reasonable steps’ for decision making, supervision and oversight?